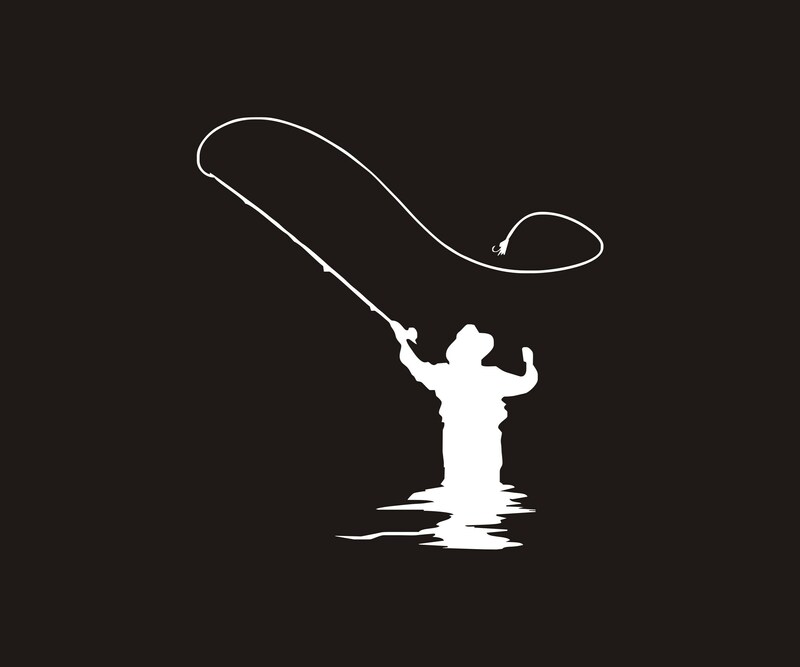 Fly Angler Decal- Cool fly fishing decal in premium outdoor vinyl. Show the world you passion for this beautiful outdoor sport. Approx size is 3.5" x 3.5"
We use only premium outdoor vinyl for our decals. These are long-lasting and water/weather resistant. Great for you car, truck, cooler, drift boat, RV, etc. Easy to apply and all orders receive installation instructions. These are high quality decals, NOT peel-n-slap stickers. These have an average lifespan of 5-7 years. They will not fade or easily peel off. ****ALL customers will receive a FREE gift as a "Thank You". 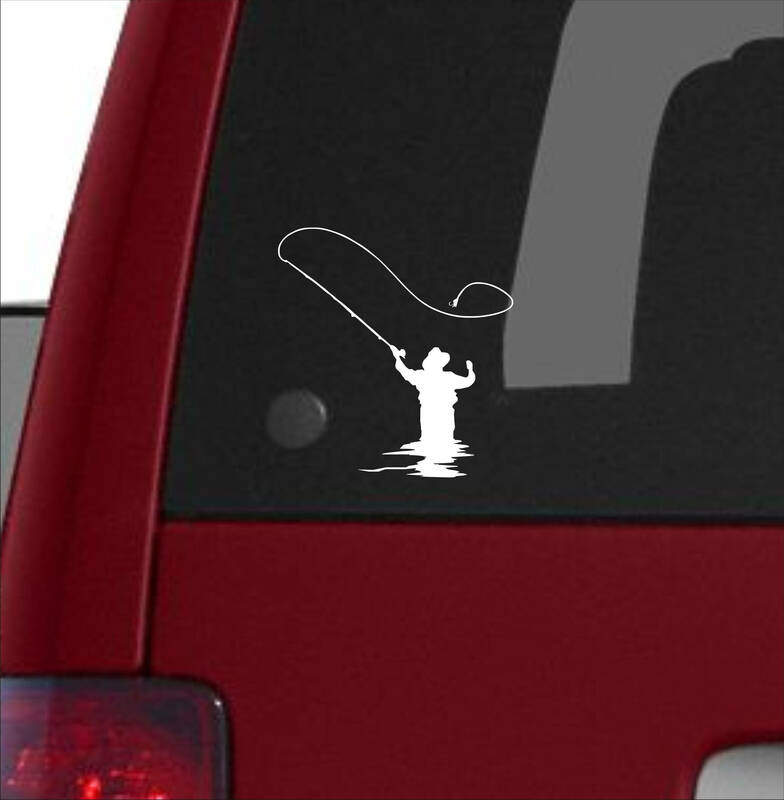 I have already sent out the decal for a bday gift, but it was the small decal of the fly fisherman. It came exactly as pictured and in excellent condition. I was also pleasantly surprised to receive an additional free decal. 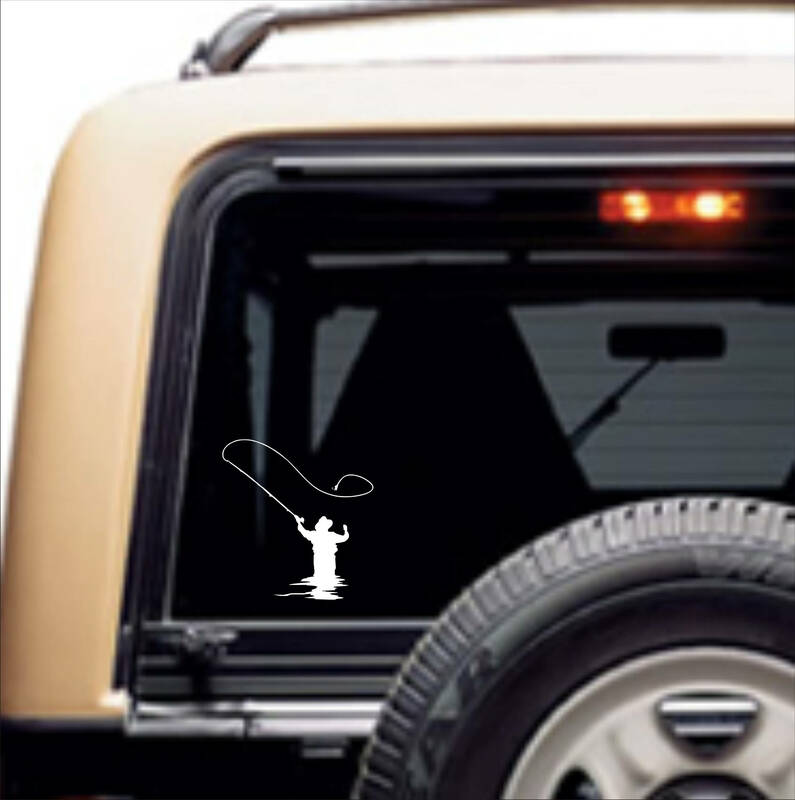 These guys are so great; they could have thrown in any ol' decal, but it was a decal of a fly lure! (I am not a fisherwoman so not sure on exact verbiage:) ) I was so happy that they were thoughtful enough to add a free gift that complemented my purchase. I was able to give them both as my gift. In would purchase these specialized fishing decals from them again in a heartbeat. Excellent customer service, on time delivery, quality products and thoughtful perks. Delighted!! The decals are sturdy and good designs. Excellent customer service. Thanks! Great sticker. Thanks for the extra gift. Shipped on time, easy transaction. Thanks!